This sleek and compact unit is just 4.5 inches thick and yet within it you’ll find a fully fledged work station ideal for apartment living. 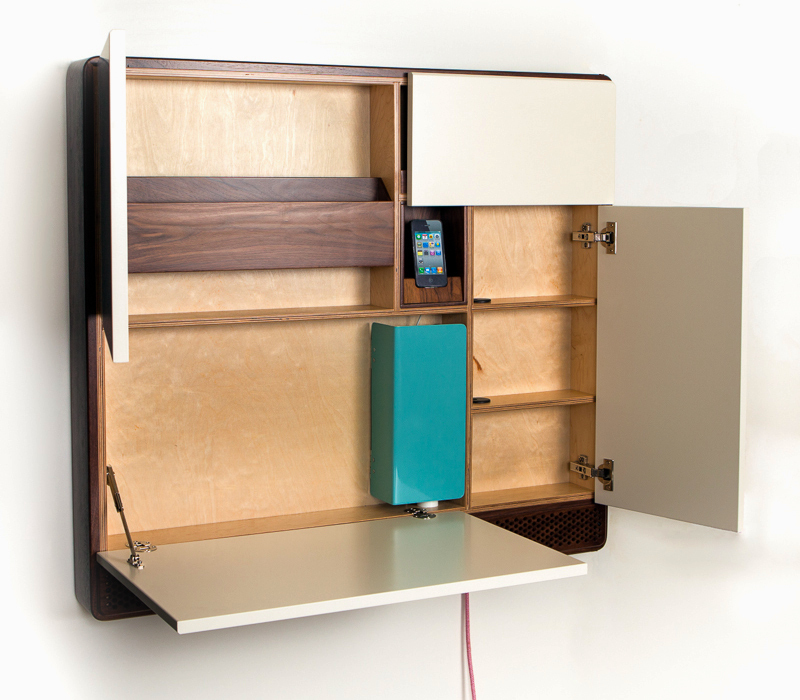 The PodPad is a desk, a storage cabinet, a charging station, an iPhone Dock and a speaker enclosure all rolled into one wall mountable unit. When it’s all folded away it is completely clutter-free and almost looks like it could be a piece of wall-art with the panels resembling a golden ratio spiral. 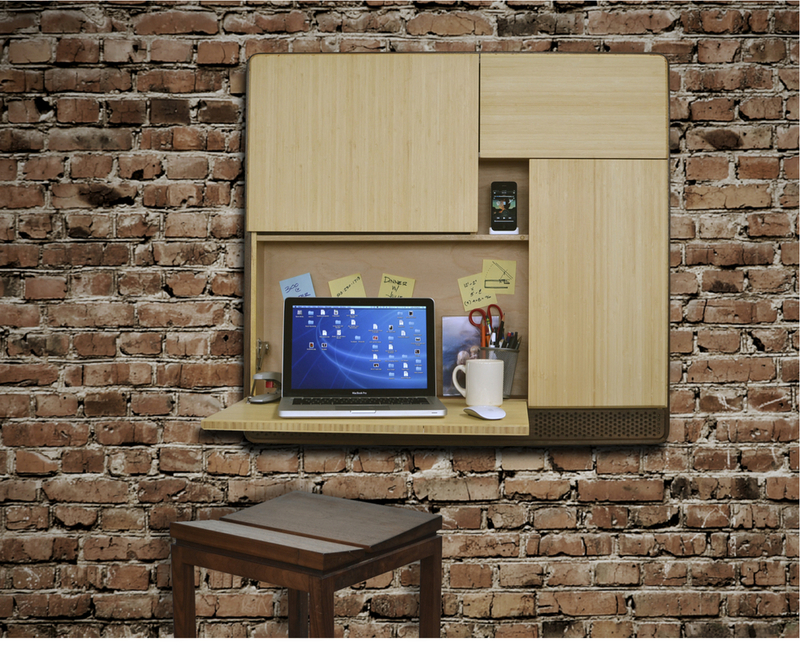 The largest panel folds out to serve as a desk suitable for a few papers or a laptop. 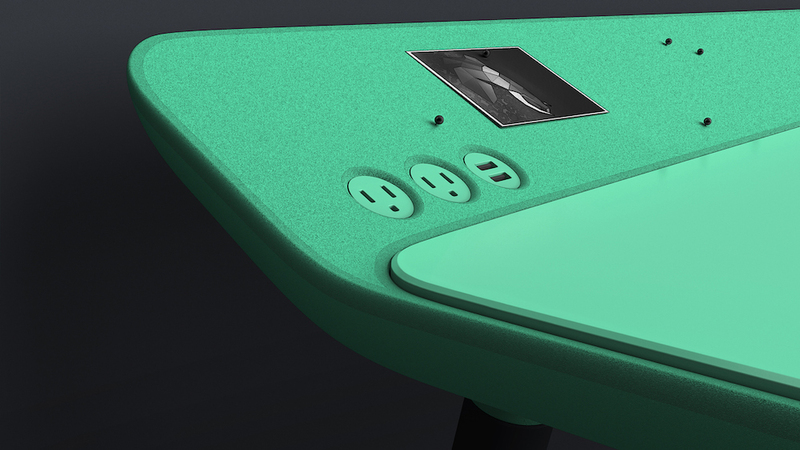 It also houses a charging station hidden behind a turquoise screen which keeps all your wires in check. To the right is a small cabinet with several shelves and to the top left is a small compartment which is intended to hold a laptop or some files. 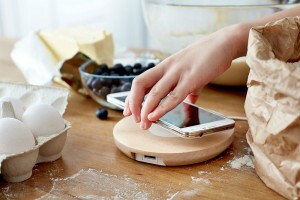 At the centre is a small alcove which can accommodate and charge an iPhone or iPod Touch. 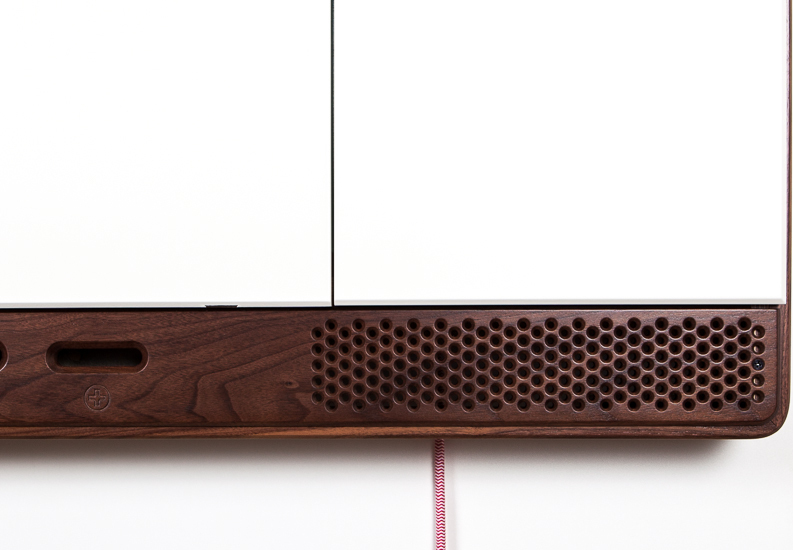 The bottom of the compact wall mounted unit is an enclosure for a wireless speaker with perforations to allow the sound to come through. It is designed to accommodate a Samsung HW-E450 Wireless AirTrack Sound Bar although this isn’t included when you buy the PodPad. 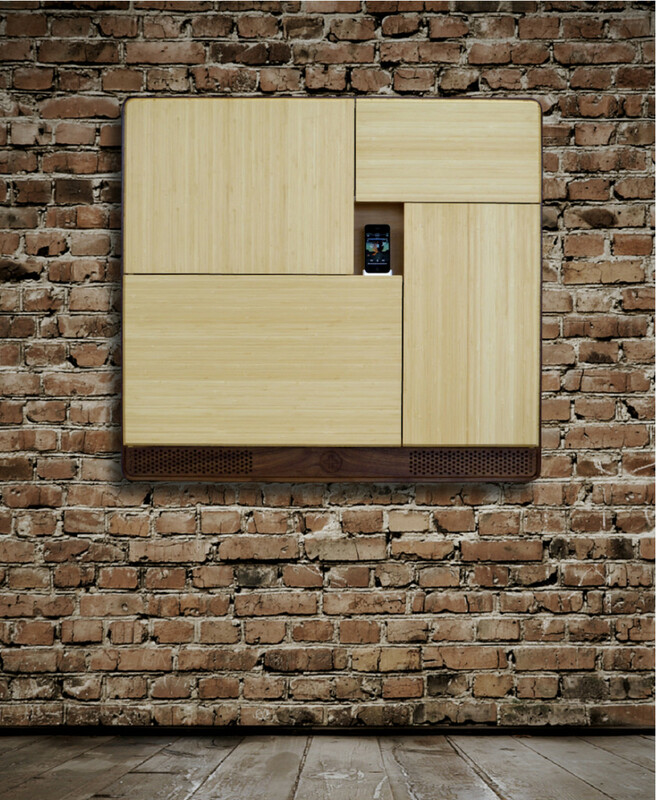 The panels of the unit are available in either white lacquer or solid bamboo finishes but given the choice I’d opt for the former which contrasts with the dark walnut case for a mid-century modern feel. 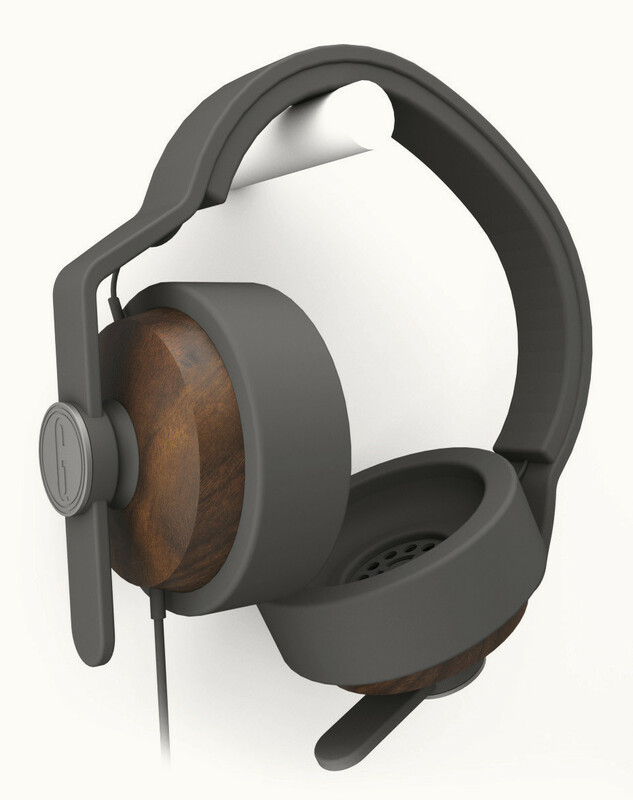 The PodPad is being made and sold by RUPHUS, a design company based in Portland, Oregon headed up by Matt Raphael. 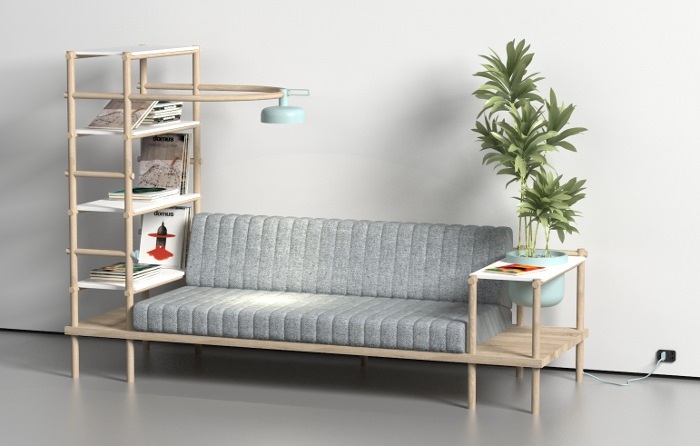 It costs $1,200 which is a lot but by no means an excessive amount for a piece of multi-purpose, solid wood, designer furniture which has been hand crafted in the USA.